The grace cure is greater than the disease. 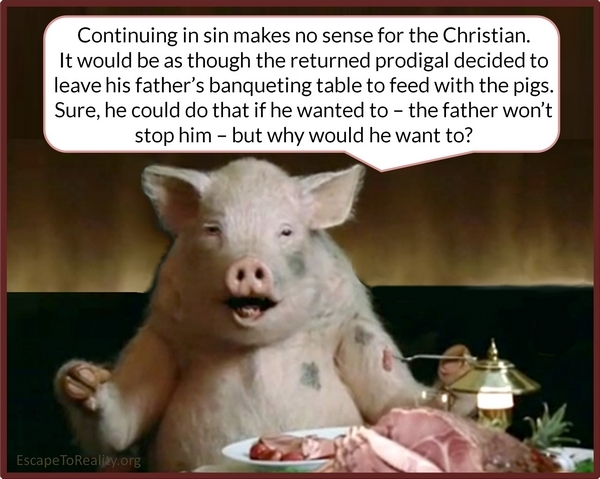 One sin cell infected the entire human race with the fatal condition of sinfulness; grace not only cures us it inoculates us against re-infection. We have been made new. We have been rewired to resist sin and please the Father. Grace doesn’t just remove all traces of past sins, it empowers us to sin no more! Grace is both favor and divine influence through the Holy Spirit. We’re not just freed captives; we’re kings and priests called to reign with Him. This is not some reference to the hereafter for Paul says we will “reign in life” (Rom 5:17) meaning here and now. Through the power of the Spirit we can reign over forms of death such as sickness and all the things that lead to sickness (e.g., bitterness, unforgiveness). We are no longer victims; we are more than conquerors through Him who called us. Jesus has not returned us to the Garden, He has taken us to heaven (Eph 2:6)! From the position of rest we rule and reign with Him here on earth. A few weeks ago I heard a story about a Navy Search and Rescue swimmer who went to the aid of a downed aviator. The aviator began to flail and flounder making the situation dangerous for both himself and his would-be rescuer. The rescue swimmer responded by diving down deeper into the water to get away and to wait for the aviator to give up struggling. In other words, he withdrew from the scene until the aviator exhausted himself. This is exactly how it is with us and Jesus. We are saved by trusting in him, and we must do nothing to help. Trying to help only makes things worse and leaves us exhausted. And yet, we try. Ever since Adam took up sewing to hide his sin, it has been the nature of the flesh to take control and try and fix things. I can save myself from drowning. This is why we should thank God for the magnificent law which reveals the hopelessness of our situation. But you’re in the middle of the ocean! You can’t swim that far. And then thank him even more for good news of his grace that saves us. Jesus the Savior is here. Stop struggling and submit to his righteousness. The Gospel in Ten Words, KingsPress, 2012, 93.